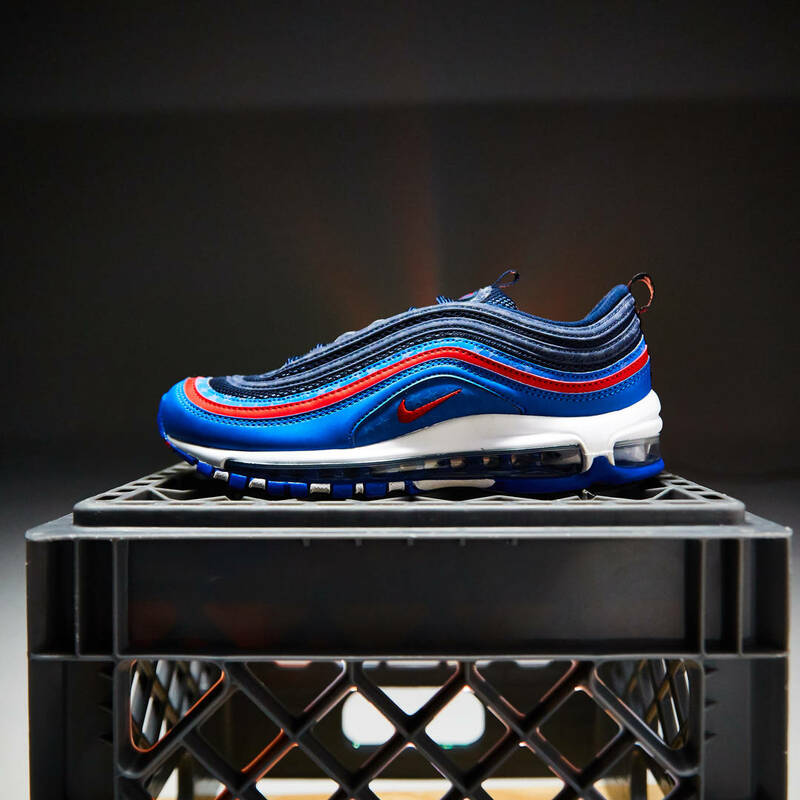 Nike and Foot Locker's ongoing "Home & Away" collection shifts its focus to Dallas this week with a pair of limited edition Nike Air Max 97s. 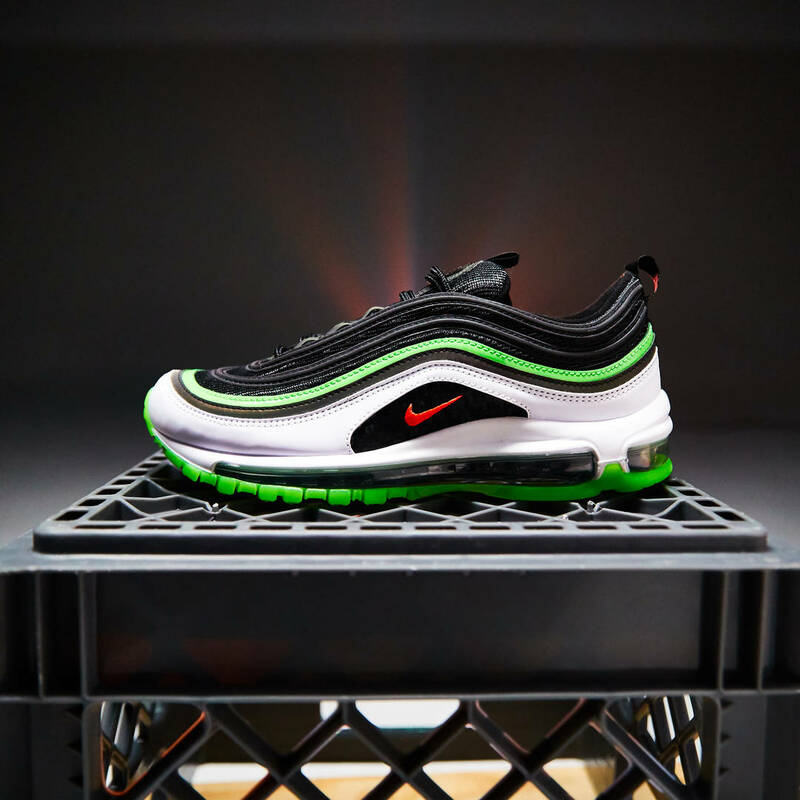 Equipped with a black, bright crimson and white color scheme, the Dallas "Home" Air Max 97 is highlighted by a wavy "Rage Green" stripe that wraps around the iconic silhouette. Rage Green also owns the outsole, while the tongues feature shimmering iridescent detailing and "Triple D" logos. Lastly, the heel tabs sport the Dallas area codes. 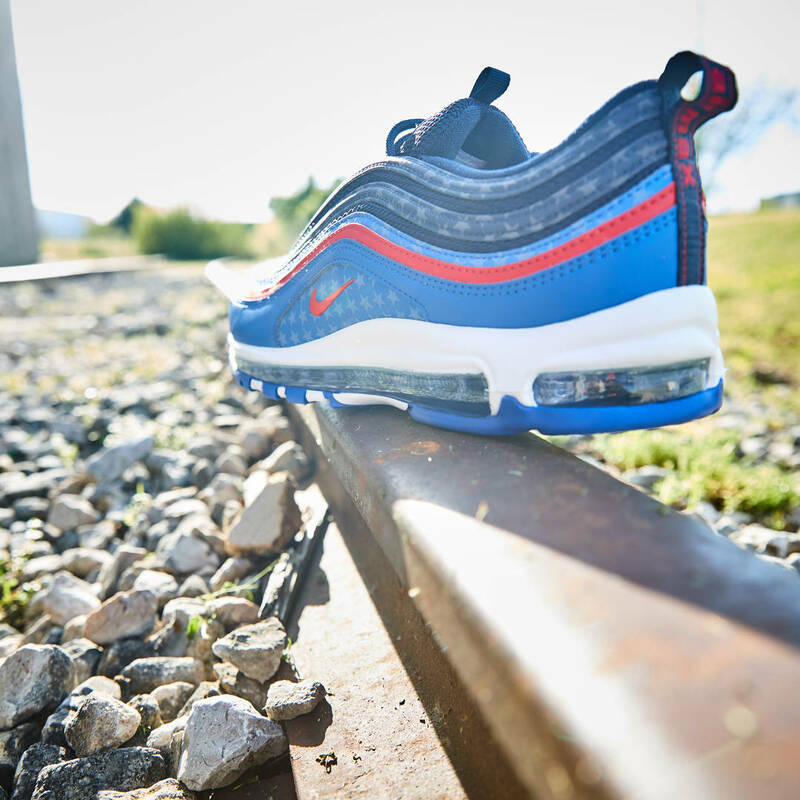 The Dallas "Away" Nike Air Max 97 consists of a red, white and blue colorway equipped with starry detailing throughout and the same Triple D logo on the tongue. 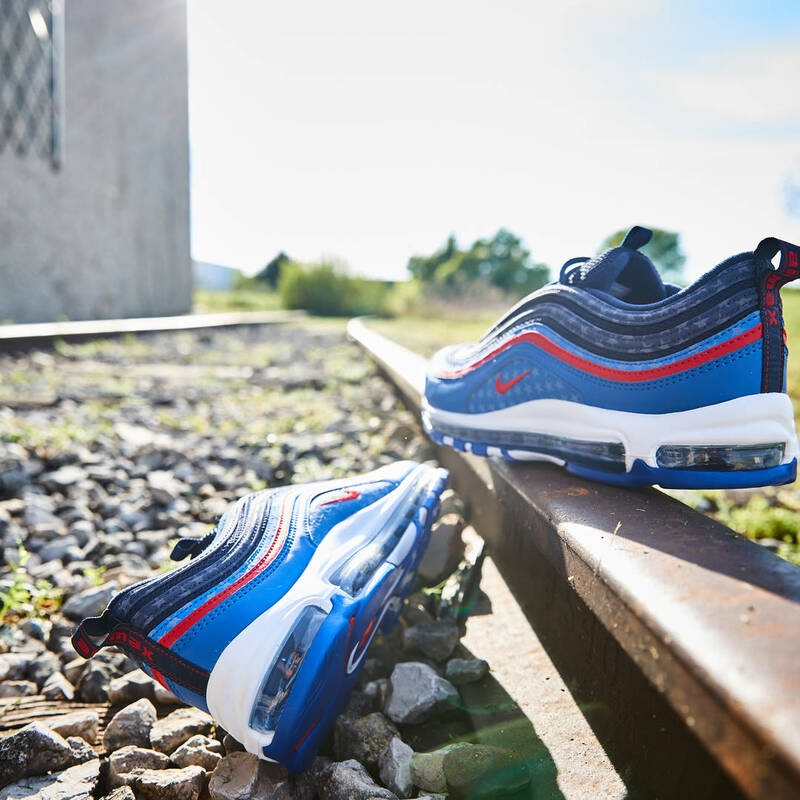 According to Foot Locker, both "Home & Away" Dallas Air Max 97s will be available in-store and online on Thursday, April 18. Each pair will retail for $170. Check out some additional photos of the kicks below.